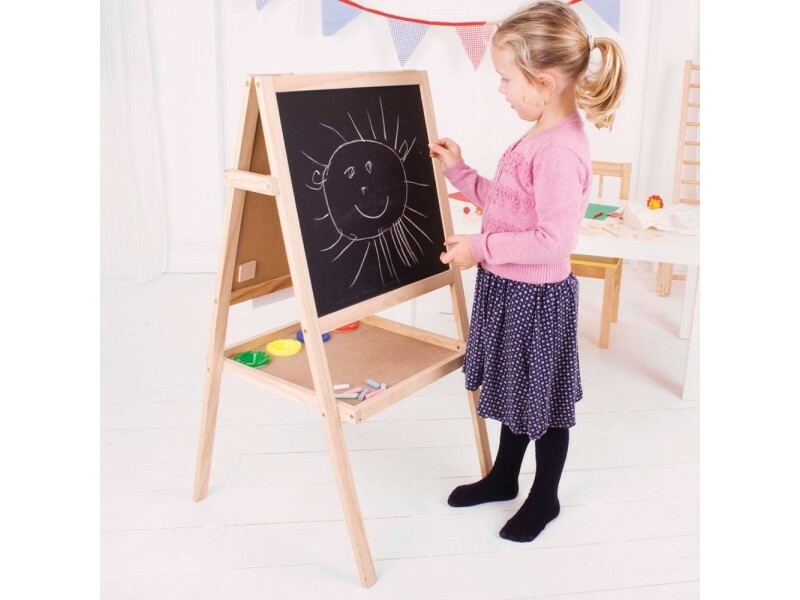 This multifunctional children's easel is a great toy for kids wishing to express their artistic side. 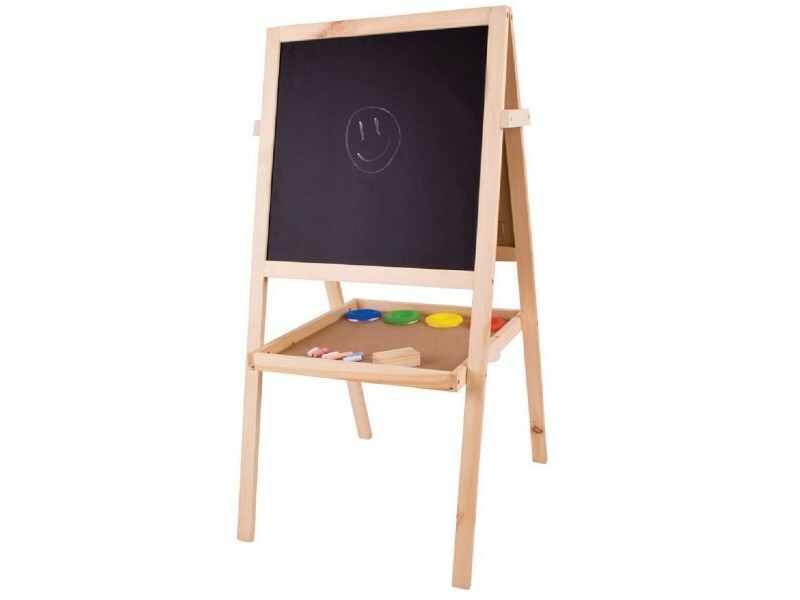 One side of the easel is a traditional chalk board for chalk-drawing fun, while the other side is a magnetic wipe clean board. A roll of paper sits atop the easel so that children can create their latest masterpiece for the kitchen wall. 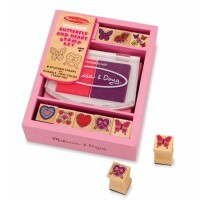 A handy tray near the bottom of the easel can be used to store paints, chalks and pens. 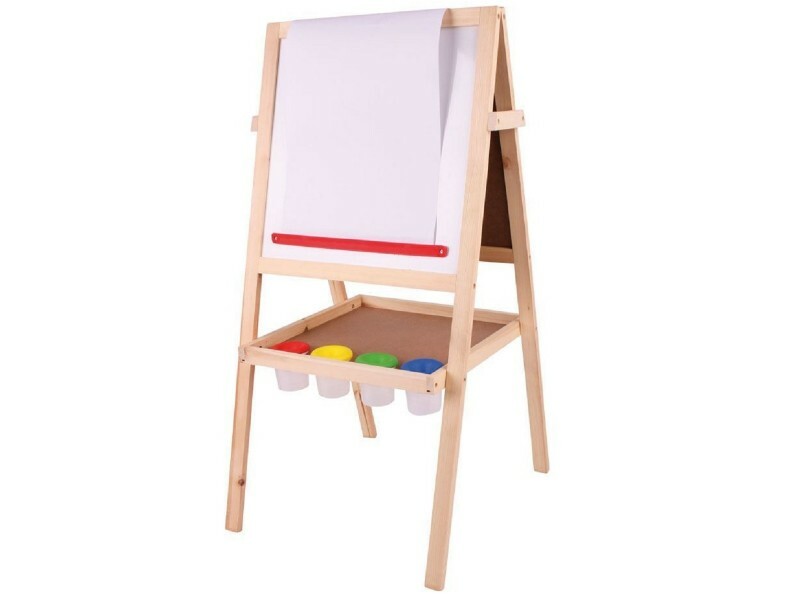 Includes a paper roll which can easily be affixed to the easel, four paint pots, a board eraser and 12 sticks of coloured chalk. 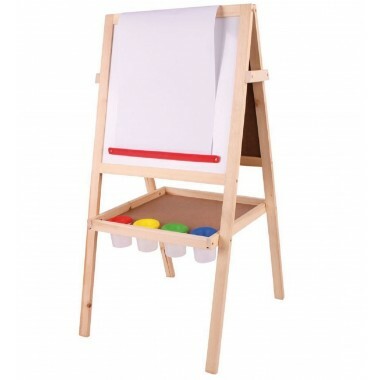 The easel folds away for easy storage. Size: W48 x D41 xH89 cm.